Jayne Crosby Giles is an experienced small business lender and banker who in recent years, has devoted herself to non-profit work. From 2010-2016, she was the CEO of MaineStream Finance, a nonprofit community development bank providing loans and financial services in rural Maine. Prior to, she held senior management positions at Camden National, Key Bank and Machias Savings Bank. Today, she offers financial, strategic and development services to nonprofits. Jayne is a proven advocate for Maine’s small businesses. In 2016, she was named the Financial Services Champion for Maine and New England by the US Small Business Administration (SBA). She is a past recipient of the SBA's Women Business Advocate award for Maine. 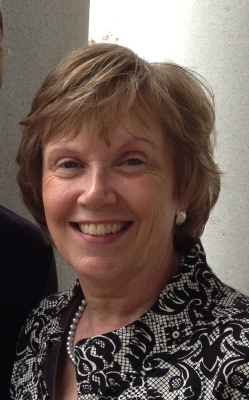 Jayne is a former Chair of the Finance Authority of Maine (FAME), member of the Maine SBA Advisory Council and President of the Belfast Area Chamber of Commerce. Jayne holds a BA in Economics from Wellesley College. She completed graduate work at the University of Delaware/Stonier Graduate School of Banking, graduating with honors for her thesis titled “Bank Services for the Smallest Companies." She completed the CITI Bank CDFI Leadership Executive Cohort focused on transformative change among CDFIs. A dedicated volunteer and mentor, Jayne is a member of Belfast SCORE, Waldo County YMCA Board, Coastal Healthcare Alliance Advisory Council and Belfast Rotary Club. She serves on two state-wide nonprofit boards: Northeast Delta Dental of Maine and Maine Association of Non-Profits (MANP). Jayne is a past board member for Waldo County General Hospital and the Abnaki Girl Scout Council. She is a former member of the Business Loan Committee for Eastern Maine Development Corporation (EMDC). She has served on several City of Belfast Committees including Business Development, Retail Review and CDBG funding review. Jayne is married to small business owner Mike Giles. They live in midcoast Maine with two wonderful English Labs, Hersh and Caramel.